Santa photography is an important part of the holiday, especially if you have kids. But, how to you capture great photography with Santa? Learn more here! With the holidays approaching, many people are starting to think about those pictures with Santa Claus. 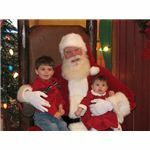 But, there’s more to Santa photography than simply putting your child on Santa’s lap and shooting a picture. There are some tricks to capturing great photos with Santa, and you can use these tricks whether you are an amateur or a professional. Before you can even start taking pictures, you need to prepare your child for event. Bring your child to where the pictures are being taken long before you actually schedule the date. Your child will see that there is nothing scary about Santa, and it will make them more comfortable with the whole process. Also, avoid picking a time near the child’s nap time, or they probably won't smile. Also, be sure that the child has eaten beforehand. A hungry child can also get temperamental. And try for a time when the line isn’t too long, or you child can become bored. If you are taking the pictures, then talk to your child to ensure that they focus on you. If you are not taking the picture, then stand near the photograph, and encourage your child to look into the camera and smile. While you can try everything to ensure that your child smiles during the session, there is always a chance that your child is going to have a temper tantrum. If that does happen, you may do better to come back at a different time as opposed to trying take the picture then. Even if you can get your child to calm down, they will still look like they were crying. Now, when it comes to actually taking the pictures, try getting the picture taken someplace where there is extra lighting to reduce harsh lines on the face. Or, use a fill flash for the same effect. Avoid using the portrait mode on your camera since it doesn’t have a very large dept of field, and you could end up with really blurry photos. Instead, use the action mode camera setting. Your child is probably going to be moving around, and this will increase the likelihood that your photo will look sharp. Focus on the face of your child. If you have a camera with face recognition software, this will help. But, your camera should have brackets that indicate where the main focus is. Ensure that your child is between these brackets. Don’t zoom in too close since your child may move around a bit, causing them to go out of the frame. Give yourself some cushion; you can always crop the photo. Try different poses. While sitting on Santa’s lap is the traditional one, try taking a picture with Santa hugging your child, or simply bent down next to them. If your child is fidgety, then standing may deter that behavior. Take lots of pictures as quickly as possible. If you are in a mall or similar location, they are trying to get through as many kids as possible. 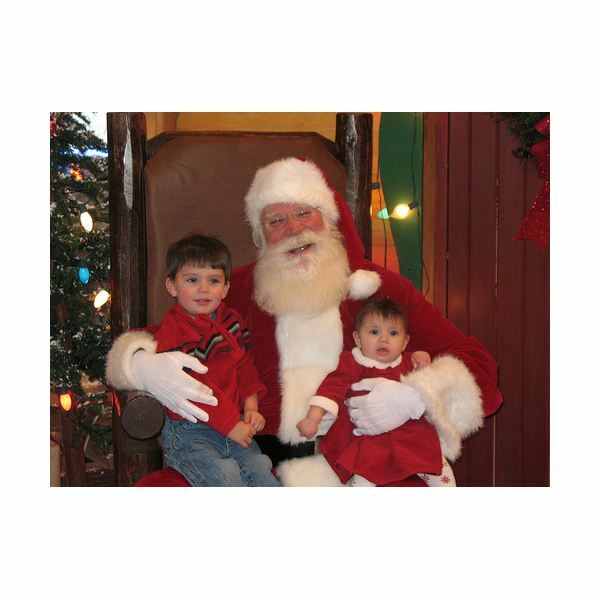 So, take advantage of your photography session with Santa, and capture a lot of pictures.